Don Awunah, Abuja: Ondo State Governorship election is scheduled to hold on the 26th of November, 2016. To this end the Inspector General of Police, IGP Ibrahim K. Idris NPM mni has directed that a robust and elaborate security arrangement be implemented in Ondo State to ensure peaceful, credible, free and fair elections. A Deputy Inspector General of Police has been deployed to the State and will be assisted by an Assistant Inspector General of Police and three (3) Commissioners of Police (for each Senatorial district) to coordinate the security operations and supervise the deployment of security personnel for the elections throughout the 3009 polling units, 203 wards and 18 LGA of the State. To ensure adequate security and safety of life and property before, during and after the elections, the IGP has graciously approved deployment of additional twenty-six thousand (26,000) conventional Police personnel (5 Policemen per polling unit), two thousand (2,000) Mobile Police Force (PMF), ten (10) cells of Counter Terrorism Unit, the Special Protection Unit, the Anti-Bomb Squad (EOD), the Marine Police, Conventional Policemen, the Armament Units, personnel from FCIID and FIIB and the Sniffer dogs section and Mounted Troops. 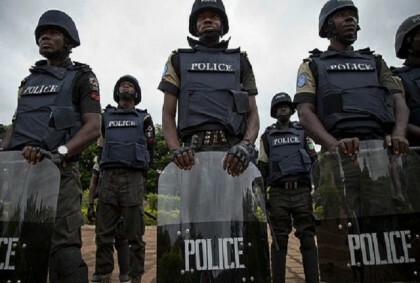 Twenty (20) Police Gunboats, three (3) Patrol Surveillance Helicopters, twelve (12) additional Armoured Personnel carriers and three hundred (300) Police patrol vehicles are being deployed throughout the State including the riverine areas and difficult terrains. Other security and safety agencies who are members of Inter-Agency Consultative Committee on Election Security (ICCES) in the State are also deployed to complement the Police during the elections. As part of additional measures aimed at guaranteeing a peaceful and credible election, the IGP on 22nd November attended a peace accord meeting of all the political parties, their flag bearers, INEC officials, election observers and other stakeholders before the date of the election in Akure, Ondo State. However, Police personnel deployed for the elections are under strict Instructions to be polite and civil but firm in the discharge of their duties and other responsibilities. They are to provide adequate security for the electorates, INEC Staff, election materials, election observers and other individuals and bodies that have statutory roles in the conduct of the elections, at the Polling booths, Collation Centres and INEC Offices throughout the period of the election. All twenty-eight (28) participating Political parties and their leaderships, Traditional rulers, Community leaders, parents and Guardians are advised to warn and prevail on their members, supporters, subjects, children and wards to be law abiding and not allow themselves to be used to cause disturbance of the peace or disruption of the elections /electoral process anywhere in the state. The full weight of the law will be applied to any person or group of persons found violating the electoral act or indulging in any criminal conduct capable of causing violence during the election. The Inspector General of Police, therefore, wishes to assure the electorates, the contestants and all law abiding citizens in Ondo State of adequate security throughout the election. He enjoins them to cooperate with the Police personnel in the discharge of their duties. Security details are warned to desist from escorting their Principals and Politicians to polling booths and collation centers during the election. Any deviant security detail will be apprehended and dealt with accordingly.